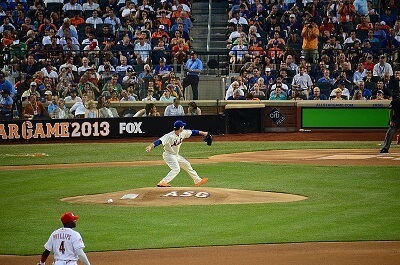 Get notified when New York Mets tickets are available! Founded in 1962, the New York Mets are a National League Major League Baseball team that plays in the East Division of the league. The Mets have played home games at Citi Field since 2009. The stadium is situated in the Flushing Meadows neighborhood in the boro of Queens within New York City. It replaced Shea Stadium which had served as the home of the Mets since 1964. There are more than 41,000 seats in Citi Field, and you can purchase New York Mets tickets to sit in them by checking out the home game schedule above and using the links to buy tickets online.